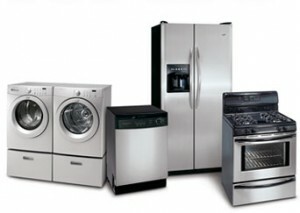 Cody’s Appliance Repair offers full repair service for all LG appliances. We undergo continual training and on the LG appliance product line to keep our skills sharp and to stay on top of new innovations in their product line. Cody’s Appliance Repair technicians also undergo drug and background screening for the safety and security of our clients. At Cody’s Appliance Repair, we provide expert LG appliance repair services. LG was established in 1958 as GoldStar. GoldStar produced radios, TVs, refrigerators, washing machines, and air conditioners. The LG Group was a merger of two Korean companies, Lucky and GoldStar, from which the abbreviation of LG was derived. LG is now a major player in the Western market, producing quality household appliances such as washers and dryers, refrigerators, and dishwashers. If you need LG appliance service in Boise, Eagle, Meridian, Nampa, Caldwell, Star, Middleton, Garden City, Emmett, Kuna or Horse Shoe Bend, call us at (208)938-1066, or just schedule for service right here online! Let our family take care of your family!